I was born in beautiful sunny southern California, growing up I had family living on the beach and always loved it being part of my life. 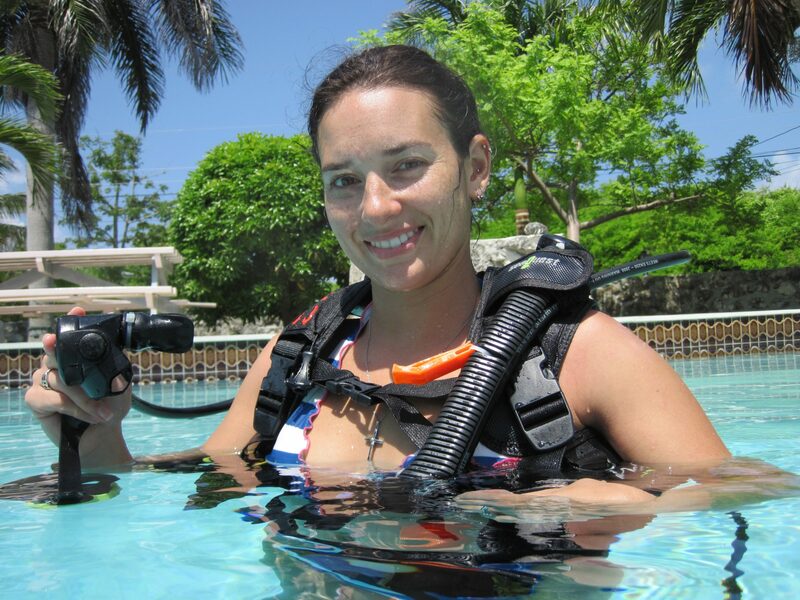 As I grew older, I realized my passion I wanted diving to be my career. Where, when, and how was this dream of mine going to happen? First thing, I needed to become a Dive Master / Instructor. I also knew that my family and I would have to move to start this new adventure, but where? My wife, Jacqueline, and I took a cruise to the western Caribbean visiting Isla Roatan, Cozumel, Belize , Grand Cayman and St Thomas Island. When we returned home we both agreed that the St Thomas was by far our favorite place. With the spectacular crystal-clear water and the warmth we felt from the locals, there was no doubt that this was the place we wanted to be. We dedicated a few months to prayer, wished on some shooting stars and a few months later we were blessed with the opportunity. It really wasn’t that simple, but we did it! The Virgin islands are alluring. I feel lucky and honored to call them home. The island pace is perfect and the culture is unique. We have year-round diving in warm crystal clear water and have endless things to do in / on or by the sea. I spend every day enjoying the island. Whether I’m grilling dinner down on the beach, sipping a on brew on Megan’s beach or just spending time with my family…I feel truly blessed. Honestly, I can’t wait to meet you and show you ALL the little piece of Heaven we call ST Thomas! Thank you for visiting our site and allowing us to share our dream with you! My name is Jacqueline. I was born and raised in Las Vegas, Nevada, but always knew I wanted to move somewhere else. Relocating to the Caribbean was truly a leap of faith! I am extremely thankful for the opportunity to raise our children in the Caribbean . I love the island life and the beaches are spectacular; super soft sand and turquoise water! Many days you can find me on the beach swimming the crystal clear waters of the Virgin Islands, snorkeling, or enjoying Scuba Diving here in ST Thomas. I wake up every day feeling lucky to be here. I have seen and experienced wondrous things in the ocean surrounding this little piece of paradise and the warmth of the local people never ceases to amaze me. Having the opportunity to call this place “home” and share the beauty and peace of these islands with guests, friends, and family is a blessing. From our family to yours, we wish you all the best in everything you do and hope to see you soon here in St Thomas, God Bless.